McDonald's Secret Sauce - AKA "Big Mac Sauce"
McDonald’s Special Sauce isn’t a secret anymore. 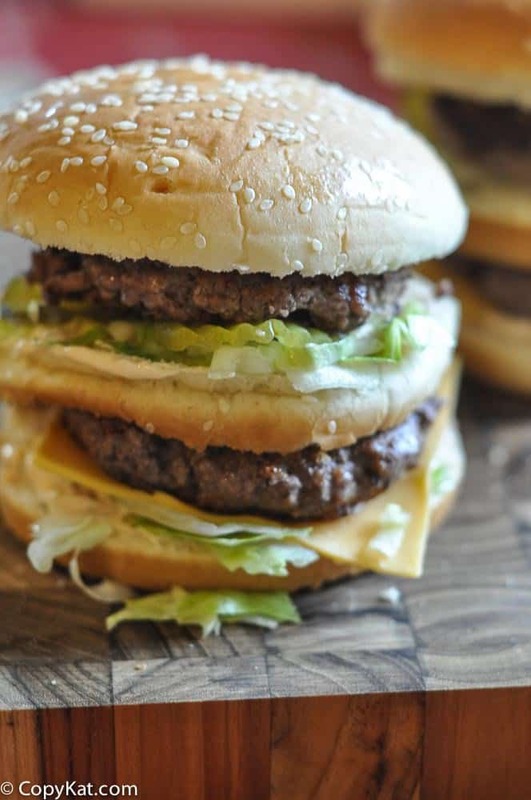 The McDonald’s secret sauce is easy to make, and can be made in a couple of minutes. Although the McDonald’s Special Sauce goes well on a Big Mac, it also goes well on a sandwich. India relish can be found at your local grocery store. India relish is a type of pickle relish, just like there is dill relish. This is a great sauce to make at home. A lot of people think it is Thousand Island salad dressing, but that salad dressing is very thin, this is a thicker sauce. Some people tell me that people make this in the store, they don’t make it the store, it comes in tubes now a days. It is dispensed from something that looks like a caulking gun over your burger. It is super easy to make this recipe. I love to make this up whenever I grill burgers. This secret sauce is a great alternative to ketchup. I find this stays fresh in the refrigerator for about 1 week if you store it in an air tight container. So it will last for a few days. It also tastes great on a sandwich as well. There is one ingredient in here that you may not be familiar with, it is India relish. Heinz makes this type of pickle relish; it is a sweeter relish than dill, and it has a different flavor. I think this type of relish is critical to making this sauce. I hope you give this a recipe a try and be sure to check out my many other copycat recipes, and you can be the judge on how close they taste to what is in the restaurant. You can recreate McDonald's Special Sauce at home. Mix all ingredients well. Let stand for at least 20 minutes, allowing to sit overnight is desired. Some people can really go off course with their comments. I loved this. My husband and I quit fast food so we are excited to try this! I didn’t find India relish in the store 🙁 so we will improvise. I also thought the color seemed a little on the lighter side ( plus I am not the biggest fan of mayo) So i am trying with a bit more of the dressing, and splashed a tiny bit of the juice in. I am setting it in the fridge overnight and excited to try it tomorrow! I hope this turns out well for you! It’s easy to be bitter online! I understand that I am late, but your iteration of this sauce is off the chain! I have used thousand island dressing on my burgers….and almost…but no…it is not the same sauce as McDonalds….i love that sauce. I have made this three times ! I mix it to taste, so add or subtract what you like. We made this for our salad before they put thousand island in a bottle. I worked at a McDonalds in Ft Pierce FL in the late 1970’s. I opened up #10 cans of the “special sauce”. The labels said “Thousand Island Dressing”. Then the labels changed. The new labels (slapped on top of the old labels) said “McDonalds Special Sauce” yet was still the same old “Thousand Island Dressing” both on the label and in the can. this is the recipe that i know of 1/4 cup salad dressing( miracle whip) 1/4 cup mayo, 3 tbs french dressing, 1/2 tablespoon sweet pickle relish, 1 1/2 tbs. dill pickle relish , 1 tsp sugar 1 tbs hydrated onions. mix together heat in microwave 25 sec remove and stir repeat then place in refrig for hr before serving. enjoy !! there is hydrated onions in the sauce this recipe is not correct. Can’t be true. Worked at McDonald’s for quite a few years and I’m positively sure there’s onion in the sauce. Its ketchup, relish and mayo. Great thanks for your tips. There has to be more to it. Your sauce is white while McD’s is somewhat orange. My sauce is somewhat orange.